Take two free range eggs and put them into a pan of cold water, just covering the top of the eggs. Once boiling turn them down to a simmer for 3 minutes and 30 seconds, drain water from eggs. Take a tea spoon and gently tap the top of the egg to stop further cooking, begin to tap around the top quarter of the egg until you can scoop it away and immediately eat the lid, add a sufficient amount of salt and pepper before dipping your perfectly sliced soldiers into your perfectly runny egg. This is the only way I would cook a boiled egg and soldiers – not a “dippy egg” or a soft boiled egg; mine always comes with soldiers and so would my mums and her mums. James puts the eggs into boiling water for 4 minutes. Once ready he carefully cuts the top off with a knife and proceeds to over load both lid and base of the egg with pepper – taught by his mum. My sister in law and her sister boil the eggs for 3 minutes and then peel the shell from the top of the egg! Taught by their parents. Some people add vinegar to the water, some people start the whole procedure from cold water and some from boiling, some insist on it depending on the size of the egg or the temperature of the egg, but one thing that generally stays the same in everyone’s technique is that it was learnt from either mum or dad, and after listening to lots of people, more commonly their dad. Now, i could go down the route of stereotyping all the dads out there by saying eggs would always be a back up plan for the kids tea when mum was away, and in my house hold that was actually the case – my dad makes a mean omelette – that’s about all he can cook, but my God they’re tasty omelettes. It’s those certain things I’ve learnt from either my mum or dad that don’t seem to budge and I’m quite belligerent about not letting them. Boiled eggs seem to be the one thing that every one does differently, another being making the bed!? Most people learn these insignificant tasks from a parent and most are reluctant to change their ways, even if it could improve their dippy egg or make life easier when making the bed. Take the finer things in life however – eating out and what to eat, which supermarket to shop in and where to go for your next trip are all things that we usually take more of an individual approach and outlook on. When it comes to politics and opinions we may be slightly influenced by our parents but we will always put our own spin on it giving our own view and occasionally doing the polar opposite of our parents and totally disagreeing with them. The more you grow up and learn about the world the more you become your own person, but we still hold on to our dippy egg techniques. Parents guide and prepare you to the best of their ability for what’s out there, they teach you with a sprinkle of how they were raised, but the majority they picked up as the years went on. It’s those small sprinkles of tradition that have been passed down that allow you to keep your parents close to you and have a little giggle the next time some one cooks their boiled egg a “funny” way. I have written this with my sister in law Michelle Binieda Mullany and her sister Dominique Binieda in mind and to their parents – long may your dippy egg technique continue. I recommend not to make lemonade, unless of course you were planning on adding gin to the equation. Whether you believe in fate or not, it’s inevitable that somewhere along the road there will be lemons launched at you in your life. These lemons may take the shape of being bullied throughout your school life, or your very good friend abandoning you when you need them the most. Either way I think making lemonade is a pretty poor response. Life, and the people who are in it is a journey that I believe just can’t be predicted or controlled; you can only do your best, you can choose who to surround yourself with and hope that the relatively short period of time you have on this bloody wonderful planet is beautiful, fulfilling and inspiring. I used to pretend that things didn’t bother me, like I had the skin of a rhino, but truth be told, when relationships never worked out or friendships started to crumble, and names like ‘fat’ or ‘posh’ were thrown my way, it all hurt. It hurt in an inward way, I would see problems within myself, what did I do wrong? Why do I speak this way? Why doesn’t that girl like me anymore? I, I, I – a vicious circle that all ends with a sort of depressing state of loathing and blaming yourself. Sure, I would regularly tell people I don’t care… ‘am I bothered’? Trust me when I say the people who say that, they hurt the most. I mentioned before one of the reasons I left hairdressing was because I could never find a way to avoid absorbing all my client’s issues, worries and problems. I would go home with their burdens weighing heavily on me, questioning myself – what could I do? How can I help them? Making their hair pretty for all of a day didn’t quite suffice for me, and there is that word again – ME, or I! What I never took time to think about was what if it is enough for them, my clients. What if the hour they spent talking to me was enough to help them, and maybe this seems so obvious to you guys reading this but it never occurred to me. Every situation that could be described as negative in my life I have taken it upon myself to either fix it or blame myself. So my answer for those lemons, homing in like missiles, launch the buggers back! I don’t think it’s healthy to just make some lemonade with them, I want to know why they were thrown in the first place. Turn that negative yucky stressful feeling outward. This person that may have suddenly decided to cut you out of there life, stop asking yourself what you have done and start to understand what may be going on in that other person’s life. That person who bullied you throughout your school life, what could they have been going through behind closed doors at that time? When a relationship breaks down, instead of crucifying yourself over what you didn’t do, maybe start to realise what they didn’t do! Don’t get me wrong, sometimes you really do need to look within yourself, but before you start to beat yourself up take a step back and try to see things from a different perspective. You can never and will never understand how that other person feels or what they have been through – don’t make it all about you. Mediation gives me the time and the release to take that step back before I explode. I guess what I’m trying to say is, in the words of the Dalai Lama ‘We’ve been all the way to the moon and back but struggle to walk across the road to meet our neighbour’. With technology progressing at the speed that it is I feel like it’s becoming too easy to make every situation about you and to totally misinterpret it, for example immediately assuming someone doesn’t like you because they don’t text you back, or the text they do send seems ‘off’ – it’s been typed! How can you possibly know the mood of the person? Call them or better yet go and see them. When a friend doesn’t show up to your birthday bash, instead of taking the hump and deciding they’re unworthy of your friendship, find out how they are and what’s going on in their life. If you are content within your own life, make the decision that when something doesn’t go quite right, take a step back and almost remove yourself from the equation – be selfless. I used to think I could change the world and help ‘fix’ everyone in it, and I still would if I could, but for now teaching you lovely lot how to be content internally and carrying you around like a rucksack is quite sufficient for me. Of all the places I expected teaching yoga to take me it certainly wouldn’t have been into the weird and wonderful world of neon art, so after being approached by the immensely talented Richard William Wheater I immediately grasped the opportunity to delve into this diverse project with both hands. At first i was a little confused as to what Richard actually wanted from this morning which he decided to call “light yoga”, which for the record I think is a brilliant title. As we met over coffee we started to understand each other a bit better, my understanding of neon developed and Richard’s of yoga, together we began to brainstorm ways in which we could mesh these two wonders together. Richard talked me through a series of different neon artists all of which were from the UK, one was himself, he told be bits about their history as artists and what inspires/inspired their work, I then took over in interpreting them into different yoga postures, it was great fun and a way to layer a more creative and artistic level to yoga. The workshop its self was actually a full day with Richard developing peoples skills and understanding of neon art, our “light yoga” kicked things off as soon as the guests arrived at The Hepworth gallery in Wakefield (a truly amazing place). As I imagined there were a few nervous looks as I advised people to take their shoes AND socks off, as well as some people lumbering up in their jeans. After a short introduction and a brief acknowledgement that we were not going to be doing the splits, we began with some simple breathing techniques that seemed to calm the atmosphere – the breathing techniques were to represent neon artist Julia Bickerstaff, she seemed to hold a strong foundation within the neon community just like our breath does in yoga. Next the guests were introduced to Martin Creed, an artist who mainly creates empowering and supportive text and phrases through neon the most famous which read “EVERYTHING IS GOING TO BE ALRIGHT”. We decided to interpret this into a posture by laying the guests on their backs and hugging their knees, giving them a sense of security and comfort. We then went onto Ceryth Wyn Evans and David Batchelor, Ceryth’s work was heavily based around circles and the flow of energy within materials, so for this our guests did a forward fold holding their arms this helped them feel their own energy flowing around their bodies. David was an interesting artist as he took very normal used household goods like old TV’s and turned them into beautiful pieces of art. The way David presented his work reminded me of the game Tetris so for this we guided everyone into the structured yet beautiful posture Trikonasana or Triangle pose – the way you move your body into the pose and the shapes you create resembled David’s work. Next we were introduced to Richard’s own work, he regularly uses the electric insulator shape to represent how energy flows through man. We decided we wanted the next posture to be a collaborative one, asking the guests to face towards one and other pressing their hands together and sitting into chair pose, this created the shape of an insulator as well as allowing their own energy to flow through each other. Half way through and everyone was relaxing into the class and smiling away, we worked on another collaborative posture straight after from artists Sir William Ramsay and Morris Travers. Together in 1898 after experimenting with many different gases they illuminated neon by exciting it with electricity. We wanted to show the class that without one and other they wouldn’t have achieved this, our guests faced one and other held onto each others forearms and had to trust their partner to lean back – it worked beautifully (see top picture). Tim Etchells was next up and with his work we interpreted a bit more of a challenging posture in the form of warrior 3 to aim to create a capital T for Tim. Chris Timmermans, Richard’s old neon boss who unfortunately had a motorbike accident involving him losing his leg. Coming from generations of neon artists Chris’s roots are firmly grounded in the neon industry, so naturally we decided to do tree pose with a little bit of black comedy we admit. We paired our guests side by side and offering support for one and other they balanced into tree pose. Neon artist Richard Box created neon art in the form of fluorescent tubes across a 3600 square metre farmers field, representing electricity pylons and how dangerous they can be. Swaying palm tree pose seemed to be the most obvious choice to try to create electricity flowing through the tubes or pylons. Finally what better way to finish than with Fiona Banners work titled “full stop”. The “full stop” represents an ending but also signifies a beginning. 10 neon artists and yoga postures later the day was unfortunately over for me but carried on for the guests to learn more from Richard. An unexpected direction in which yoga took me that I would do again in a heart beat and once again yoga proves its ability to connect everyone. Thanks to Richard William Wheater for creating light yoga and David Lindsay for the superb photographs. ​Fear – An unpleasant emotion caused by the threat of danger, pain, or harm. Phobia – An extreme or irrational fear of or aversion to something. I’m afraid of spiders – terrified, in fact I can’t remember a time when they didn’t frighten me; however I’ve never been able to figure out my actual lack of fondness for them. I’m not afraid of them biting or causing me any harm, my mind has somehow created this irrational phobia, to the extent that I don’t even like the word – SPIDER! It could be the speed of them I don’t like, the fact that they have 8 legs or in my opinion just don’t look overly friendly (the reality is that they’re probably terrified of the screaming giant running around). I think a lot of phobias are passed onto us from parents or a family member; my mum is afraid of spiders too, my dad however had a tarantula crawling on him just last week! So when we talk about “phobias” we’re referring to spiders, wasps, birds, moths, sharks, zombies, heights, lifts, etc. Fear is different – it’s an emotion that is triggered by our phobias causing us to panic, cry or scream; I do all three when I see a spider. Other phobias like flying or deep water are still connected to the emotion of fear but aren’t always the real phobia; take flying for example, what is the actual phobia of? Falling? Small spaces? Death? And if your fear is deep water, could it be the real fear is the unknown or could it be that the one thing all these phobias have in common is “control” or the lack of it. You can’t control the direction a spider will move in or how fast, you can’t control the aeroplane – unless you’re a pilot (but then I doubt your phobia would be flying), you can’t control what is lurking at the bottom of that well or ocean and you most certainly cannot control death. The one thing as human beings we are able to control is our own emotions and to control them we must learn to control our breath and mind. However, what if our fear in life is “failure” and who decides if you have failed? Who dictates if you have passed? You decide – it’s your mind, your thoughts, and your life – you are the only person who ever decides if you have failed or passed. As humans we have been given a very powerful gift – our minds – and if we are not careful the mind can start to control us, thereby developing fears, anxiety, depression and phobias. The word “failure” has a hugely negative impact immediately on us as human beings – to be told you have failed, to have a failure of a marriage or to be failing as parent – but what if you studied hard for that exam, what if for years you worked at your marriage and what if as a parent you’re doing the best you’re capable of? Should you still think of yourself as a failure? In yoga we teach pranayama, which consists of different ways to control the breath. To control the breath we must learn to control our diaphragm then over time we make the diaphragmatic muscle stronger. Diaphragmatic breathing reduces the heart rate and brings the body from sympathetic fight or flight to parasympathetic calm and relax – ideal for when you’re ready to board that flight, get in a lift, hold that spider (ahem) or stop yourself from changing into the Incredible Hulk! Pranayama is a physical way of controlling your body; we must then learn to mentally rationalise situations, emotions and negativity through meditation. To mediate is to try to calm the mind and come to a serene almost euphoric state; there are many ways of achieving this – through guided mediation (having a teacher talk to you), thinking of a mantra (a single image that doesn’t change), focusing on your breath, etc., all of which can be very tricky to begin with. Meditating is a truly wonderful way to remove negativity and failure from your mind. 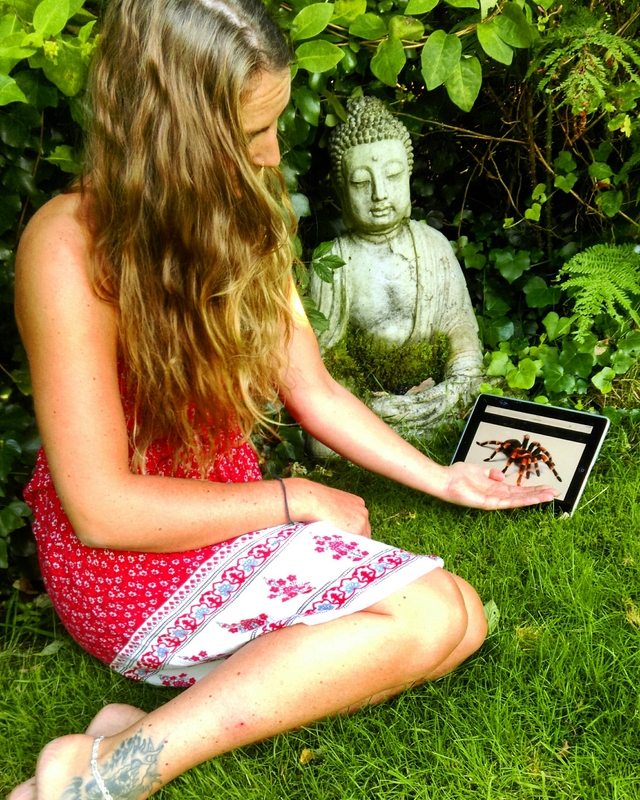 I’d like to say I’m writing this whilst holding a spider – small steps though right! 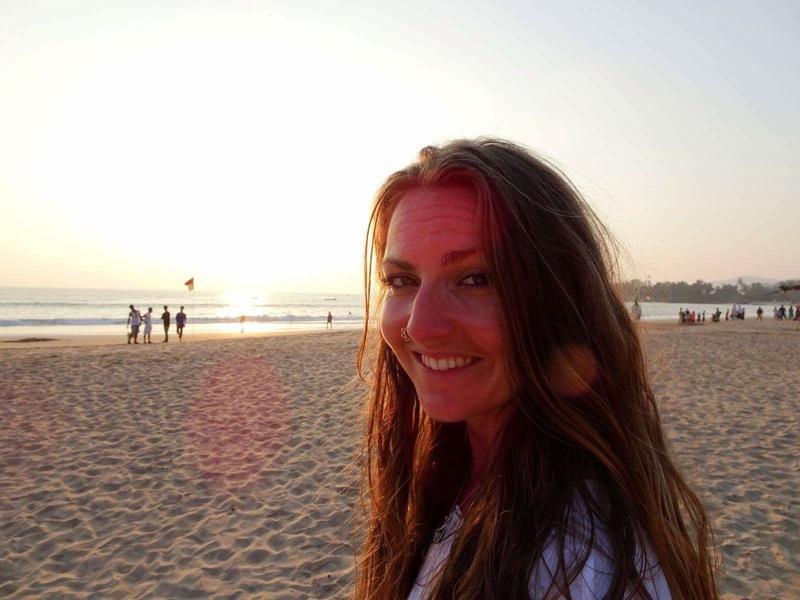 I’ve recently been privileged enough to start blogging for online brand mymantra.com, the latest blog was to be titled “life of a nomad”, further more the life of a nomad blog was going to be about me – my life as a nomad. It’s the best way to sum my life up at the moment so I poured my heart into it, I’ve been honest and told my life how it is. I’ve tried to explain who I am – why I’m sometimes quiet then in a few minutes bouncing off the walls, how I became to be me… Grace the yogi, Grace the dog walker or hairdresser, Grace the climber or daughter, sister or hippie, nutter or just Grace. I would be very honoured if you click this link and have a read. Feel free to browse mymantra clothing too, its ace! 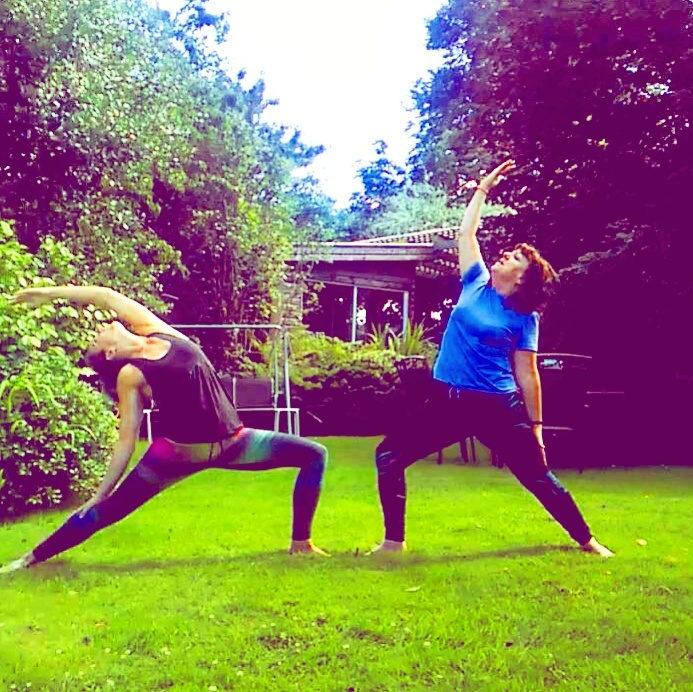 “Back bending” or “heart opening” postures in yoga can make us feel very ungrounded and fearful, sometimes we even allow them to take our breath away. If you’re new to yoga everything about extending (bending) your spine seems unnatural, your entire life has been folding the spine forward so arching your back, for example: tying your shoe laces, getting into the car and actually, just picking anything up, these are all things we do on a daily basis without even thinking about. 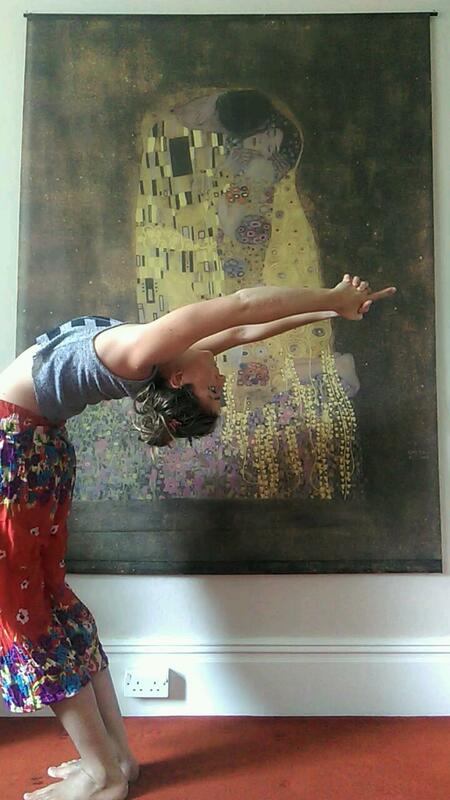 Yoga allows you to extend and strengthen your spine the opposite way, creating an arc. Stating the obvious here but always warm the body up before moving into any spine opening asanas. Never ever allow any posture to take your breath away – I find when I’m teaching, a lot of my yogis hold their breath as they move into spine opening asanas. You should feel comfortable and maintain a steady breath as you open the spine, there may be a sense of uncertainty and that your body isn’t fully grounded but that’s where your yoga teacher should come in, physically supporting you or getting you to use props, they will then guide you into the different poses. Again another obvious piece of advice is to really listen to your body, if it hurts don’t do it! When I use the word “grounded” it applies more than ever when opening the heart in yoga. In the beginning of your yoga journey you’ll think all the strength and flexibility is required in the back, this isn’t the case, especially as you go deeper into these poses. Strong legs are needed more than ever to support, ground and stabilise your spine as it opens – for example in wheel pose or Chakrasana, yes it’s the mobility of your spine that needs to open but it’s your legs getting you there and stabilising you once in the pose. When you start to practice dropping back into Chakrasana from standing, your legs need to be rooted and strong to give your back the support as your hands come down to the ground. For me staying grounded is important not only when opening the heart but in life too. It’s important not to forget your roots – where you came from, even if you feel no desire to go back there. I used to be embarrassed to say I was from Huddersfield, immediately adding on “but my mum is from Manchester”, like it made me who I was. The truth is my roots are here in Huddersfield, I don’t have any desire to live here or carry my life on here – but family and friends are here, old work places and some most excellent memories. Huddersfield in a way made me who I am, it made me realise that this isn’t enough and I want to see so much more – to always pronounce my H’s, to never stare someone directly in the eye on a night out and to say “three” instead of “free”. To wrap it up, even though I can only cope with Huddersfield in short visits, it still holds so much familiarity that I can’t help but love it and be grateful for all the opportunities it has given me and to be proud of my roots. So don’t allow your roots to hold you down but always remember them, you owe them that. Yes I give you all permission to cringe, that is me doing a “check out my guns” pose. Now let me explain. I’m jumping on the bandwagon a little here. As a yoga teacher I think it’s extremely important to be happy inside and out. Weighing scales can wreak havoc with your happy endorphins, as in obliterate them. I recently did a blog for online company mymantra.com. In it I talk about weight being just a number, and reference mymantra bikini model, Yola. Have a look at the blog and you’ll see Yola looking super trim and toned, but weighing more than she did prior to any sort of training. Now I am no bikini model! I am however 5ft 9 and 10 stone 8, around 68 kg. You may look at the picture and think I’m over weight, you may think I look good (thanks), you may wonder why I didn’t get someone else to take the photograph so all my legs were in (me too). The truth is, I rock climb and do yoga, a lot. I also eat a lot, generally very healthy. So should I cut down my portion size, so I can lower the numbers on the weighing scales? Should I stop drinking beer to get to 10 stone? I don’t think I will. I don’t think I’ll let some numbers rule my life. I never liked numbers anyway, far too complicated. Mum, mummy, mother, mama moomin. 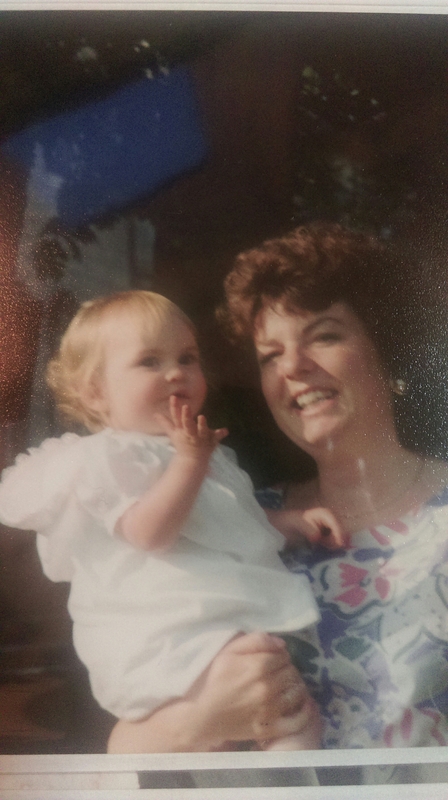 I’ve decided to write this blog because I admire my mum, and want to tell you about her, and why mums are incredible creatures. I’ve had a very privileged and educated life, and a lot of credit goes to my mum for that. Not in the sense that she ever sat down with me, and did algebra or spelling tests. It was more telling me places she’s visisted in the world, and the history of that place. Always having fresh and healthy food in the house (much to my disgust as the teenage years came in). I never had any pressure to be an “academic”, it was always about my brothers and I just being happy. She still says to me now “you went to the university of life darling”. We were lucky enough to have our own fruit and veg growing in the garden. Religion was never forced upon us, even though mum does have a Christian background. Above all of these, she introduced me to yoga. I like to think my mum as a super hero really, she doesn’t walk around in spandex. Although she does rock out to Hendrix with a ladle regularly. When I was 8 she was on her own for a long time. She worked full time and kept the most loving and free spirited house hold. Mum powered through my teenage years, along with accepting me every time I walked through the door with another piercing. She even drove me for my first tattoo! What a woman. Travelling through different countries, I could always tell who the mums were, they had a warmth to them. Do you get given these super powers once you have your first child? My mum’s food always tastes better than mine, when she makes me a brew it’s the best brew. Her hugs are actually magical. When I’m poorly, mum can make me a hot honey, and lemon drink, that seems to cure me (it doesn’t work when I do it). Finally, she supports and believes in anything I want to do. So whether it’s going to a yoga class, spa, pub or restaurant, spend time with your mum, she is a truly wonderful human being. If you can’t, spend time with your children, they may not always show it, but to us, you are our role model and an inspiration. Big shout out to all the glorious mums out there. I respect and admire all your hard work. Ps I love you too dad, your bed time stories were the best.